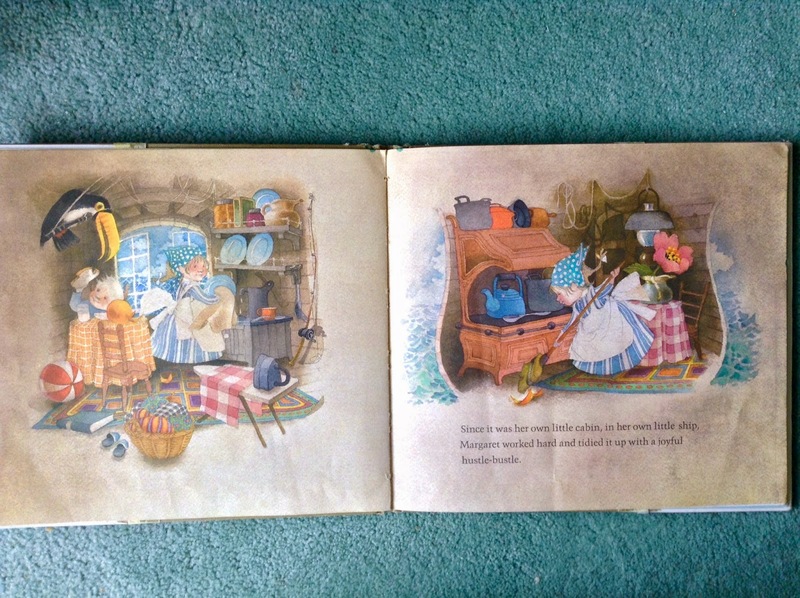 I loved this sweet little vintage book from 1975. 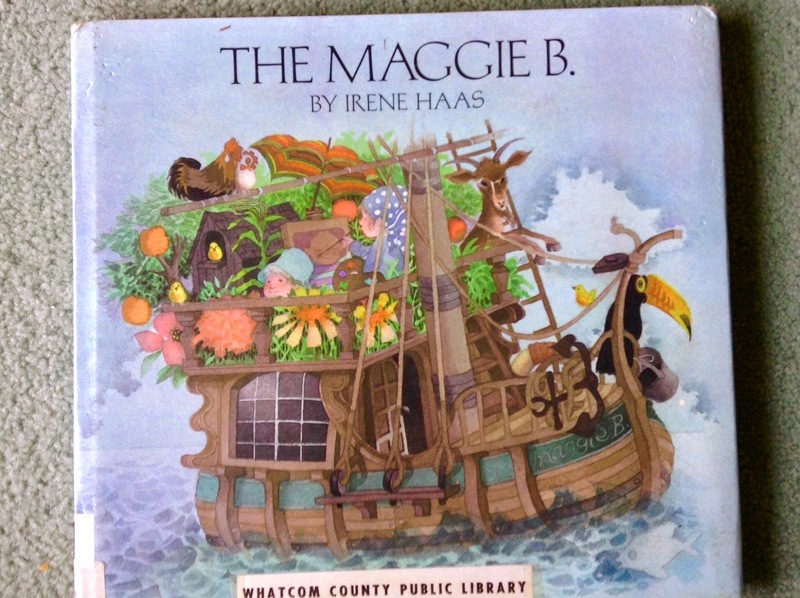 The Maggie B. by Irene Haas is a quirky little tale about a girl and her younger brother and their day on the ship named after the main character, Maggie B. Maggie has a dream that she could be a captain of a ship--just for a day--and the next day she woke up to quite a surprise! The story is a little bit longer than a normal bedtime story (think Berenstain Bears length), but the pictures make it worth it even if you're eyes are heavy. Maggie is as sweet as pie to her little brother, who happened to come along for the boat ride by surprise. 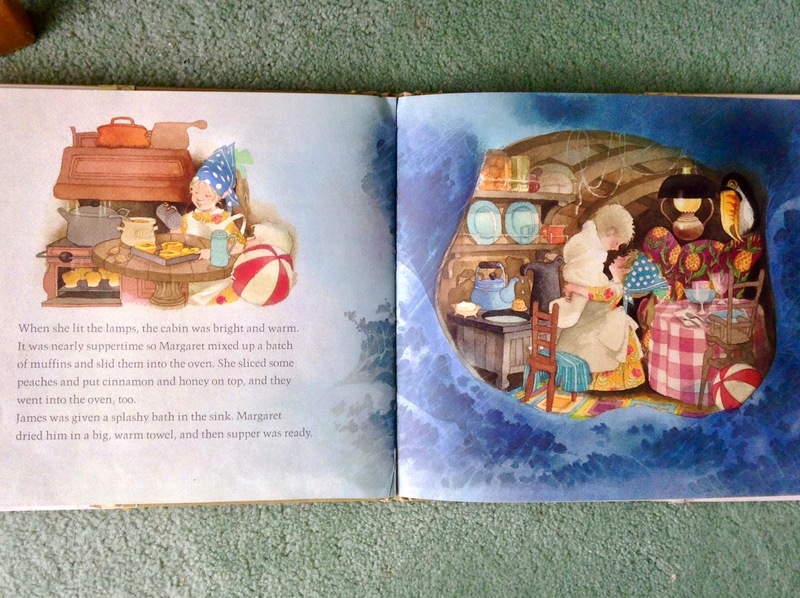 Something I enjoyed about this vintage book is that throughout the entire day aboard the Maggie B., the girl Maggie was able to completely care for her brother, look after their needs like food and drink, naps, and other chores that make up daily rhythm in a home. I appreciate any type of book that shows that kids are capable in many capacities, even at young ages. Hey Ho on the Maggie B.!